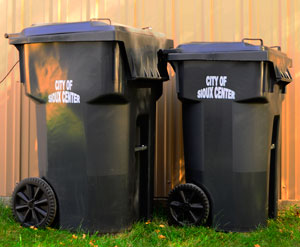 We have a few different size containers to choose from depending if you are living in the city limits, rural area or small business and recycling. 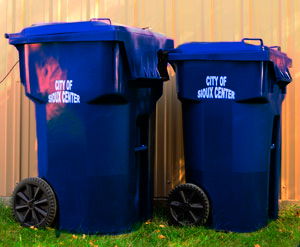 The City Grey Cans are available in 65 gallon and 95 gallon sizes. 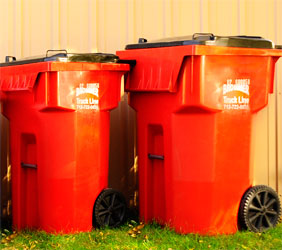 Brommer Sanitation Red Rural and Small Business Cans are available in 65 gallon and 95 gallon sizes.